If you have painting projects you need to squeeze in this fall, you’re in luck! Sherwin Williams is offering sale prices on their paint…. 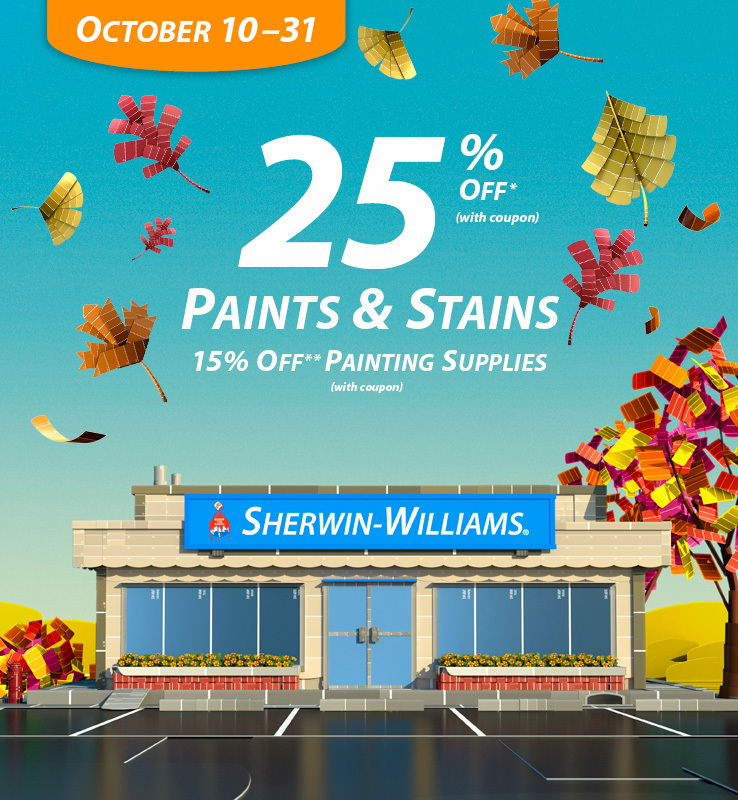 From now through the end of October, you can save 25% on Sherwin Williams paint and 15% on painting supplies. Unlike some of their sales, you will need a coupon to get the savings. You can print one here. While this isn’t their very best sale price on paint, it will still save you a chunk of money on some great paint. What are you going to paint? And, more importantly, what color are you going to paint?